Most models of the Apple TV look confusingly similar: they're small, pocket-sized devices that resemble oversized hockey pucks. Sure, the Apple TV 4K is about twice as tall as the third-generation model, but that's a bit subtle. The relatively similar outsides actually conceal a lot of difference. The things that separate the 2nd and 5th generation Apple TV models, for instance, are huge. The newest model — the Apple TV 4K, which is the 5th generation — has a number of obvious differences and is a revolutionary improvement over earlier Apple TV models. A quick glance at the chart below may cause the 2nd and 3rd generation models to appear identical. They're not, but they're close. The only major difference between the two is that the 3rd generation supports 1080p HD video output, as opposed to the 2nd generation's maximum resolution of 720p. This chart helps you understand how each model is different by comparing the features, benefits, and specifications of each Apple TV generation. The easy to read and compare chart is designed to help you understand how the Apple TV has evolved over the years and to make the right purchase. Apple TV 4K 4th Gen. If you like to push the envelope with your technology, there's another aspect of the Apple TV that may be important to you: which models can be jailbroken. Jailbreaking removes the restrictions and controls Apple applies to its products and lets you install your own software and make all kinds of customizations. As always, it bears noting that jailbreaking requires technical skills that the average person doesn't have and can lead to damaging your device and voiding your warranty. If you try it, you're pretty much on your own. Which Apple TV Model Should You Buy? So, after all this, which Apple TV generation should you buy? 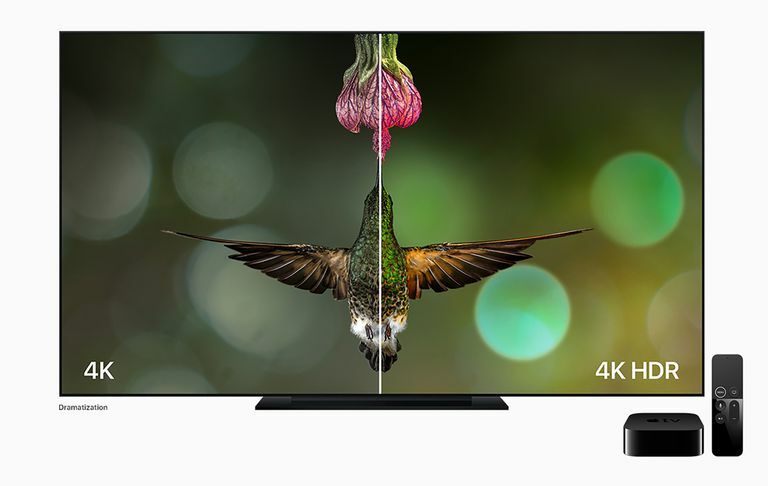 For almost all people, the answer is the Apple TV 4K. It's the latest model, offers the most advanced features, should maintain compatibility with other home theater hardware and video technology the longest, and should last the longest. The 4th gen. model is a little cheaper, but not much. Saving $20 or $30 for a lesser product really isn't worth it. Buy the best device you can and you'll be happy with it the longest. Both 1st generation models, the 2nd generation, and 3rd generation Apple TV are no longer available from Apple, but they can still be found used. While they were good models when they debuted, we no longer recommend them, as they don't support the most recent technologies. Chromecast vs. Apple TV: Which Is the Best Streaming Device? Android TV vs. Apple TV: Which is Better for Gaming? How Does the 3rd Generation Apple TV Stack Up? How Do You Turn Off a Box With No Buttons On It? Is the 4th Gen. Apple TV the Best Set-Top Box? Apple TV's Best Feature: Upgrading Your Movie Library to 4K! What's coming next for the Apple TV? Is Apple TV Really the Future of Television?